We are working to help those who need a brighter future. 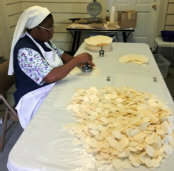 Be a volunteer or make a donation to The Sisters of The Blessed Sacrament. Your contribution will pave the way for so many underprivileged children and families. With the power of God, anything is possible. This is a belief that we hold firmly to our hearts as we strive to help those who are in need. 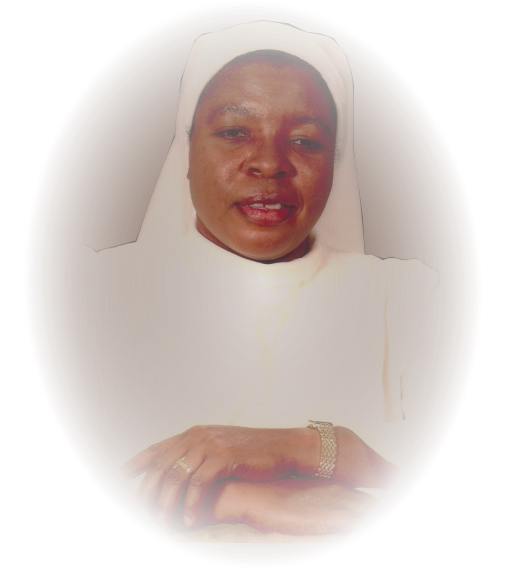 The Sisters of The Blessed Sacrament is dedicated to helping the poor, taking care of the elderly, and speaking out for young girls whose voice may be drowned out in today’s society. Life in this world can be difficult, but you are never alone. 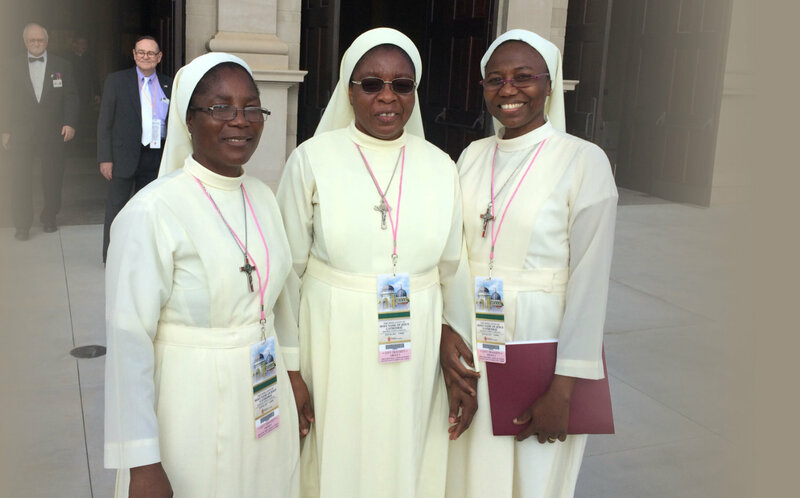 Through our Lord Christ, we are committed to providing those who need the help they are craving. 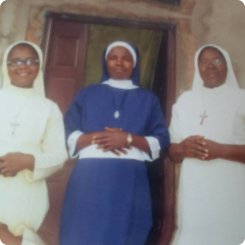 “When we do His work, His will on earth we unite ourselves, our sacrifices to His Sacrifice” The Sisters of the Blessed Sacrament of Onitsha will continue their arduous tireless service to God and to humanity. 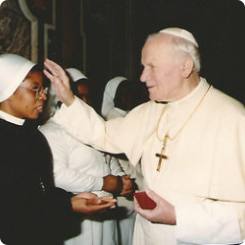 Saint Pope John Paul II was blessing Mother Catherine when she was in Rome Italy. 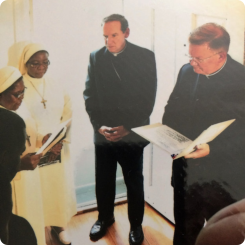 July 14, 2016 - Bishop Michael Burbidge the Bishop of Raleigh and the Vicar General, Msgr. 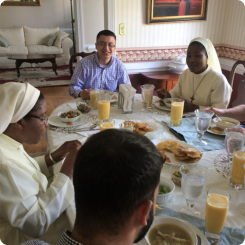 David Brockman came to bless our Headquarters in Wilson, North Carolina. 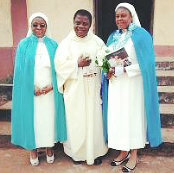 The sisters attended the Dedication of the New Holy Name of Jesus Cathedral in Raleigh North Carolina.